Potstickers are one of my favorite dishes. These simple, little fried pillows filled with meat leave you wanting more. Usually they are an appetizer and meant to share but sometimes you just want them all to yourself. How did these little dumplings become so popular and why are they so delicious? The Chinese have been enjoying these little treats since the Song Dynasty. No one knows the exact origin of how they were created but according to legend they were invented by a chef in China's Imperial Court who accidentally burnt a batch of dumplings after leaving them on the stove for too long. The dumplings were overcooked and burnt on the bottom but not on top. The Chef went with this mistake and said it was a new dish and was supposed to be served in this style, leading to the Potstickers we enjoy today. 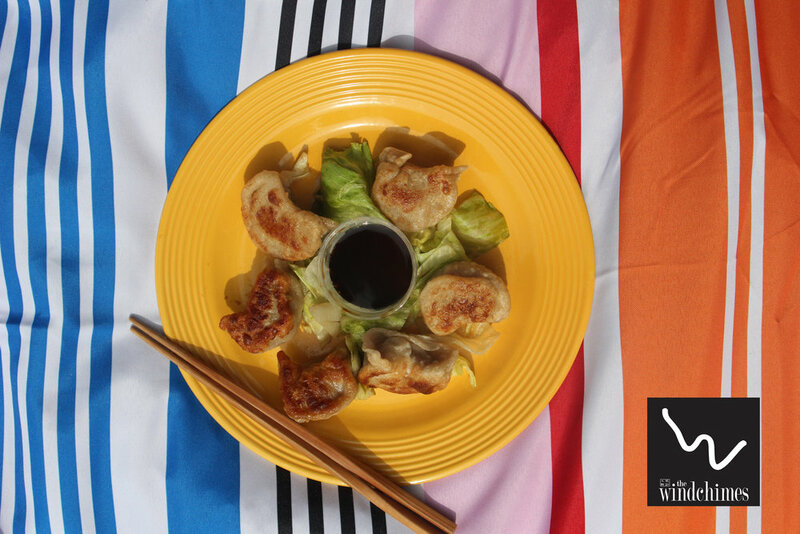 Typically, potstickers are made with a hot water dough that uses boiling water, giving the dough greater elasticity so it can hold it's shape. Though, if you are trying to make these at home you can usually pick up Gyoza or wonton wrappers to create a similar substitute. After they are made you want to fry them up and flip over with the brown side up. Then after they are finished and plated up you can use a variety of dipping sauces to bring out the delicious flavors of the pork inside. There are other types of potstickers from different regions of China but these fried delights are my favorite. Come into Windchimes today to taste them for yourself. And be prepared not to share!